Many clients ask me how to put it all together. Here at Devonia we love to mix and match your pieces to create a unique, custom and one of a kind service for you to enjoy and add flexibility to your entertaining. Start with one piece that you love. 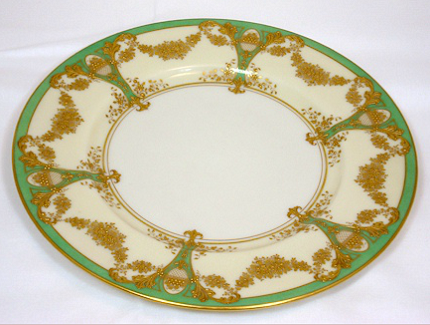 Usually this will be an inherited dinner plate, or one that the color or pattern works in your dining room. Decide how many pieces in your place setting you would like. We always recommend: dinner, salad, soup bowl, footed glass piece to serve seafood or other first course offerings, dessert plate. Side or bread plates, after dinner coffee and serving pieces can always be brought in later. Glass: Let your table sparkle with water goblet (your largest “bowl” but not necessarily your tallest) and minimum one wine glass. Two wine glasses and after dinner cordial if possible. Decide if your budget allows for a place or service plate. 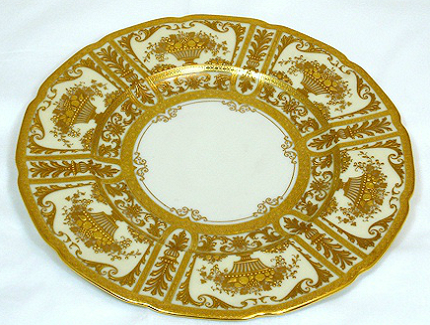 Traditional antique place settings would allow the hostess to place the service plate or place plate for display when guests were seated and then all plated courses before dinner were served on top of this plate. Prior to dinner, this plate was cleared and then the dinner served (plated in the kitchen or served a la Russe table side). These plates were not more than 10 ½ ” in diameter. 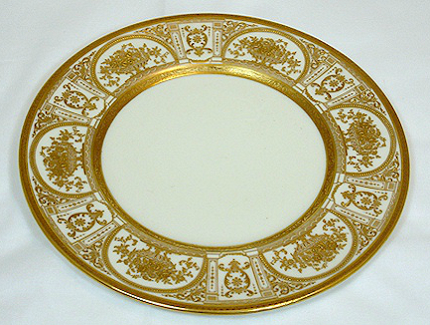 Larger more contemporary service or charger plates can be ordered through Devonia: 12″ in diameter. Please contact us for more information. Monogramming Available! Have fun with color or keep it elegant with white, creams, and golds. Listed below are the standard elements of a formally set dining room table, the accompanying diagram will help you with placement options and order of usage.